All our hats come packed with lots of recycled, acid-free tissue, in a sturdy gold cardboard hat box. The box is wrapped in heavy plastic to protect it during shipping. We advise you strongly to store your hat in the box provided, as this will protect it from dust and sunlight. Make a note of how the hat and it’s trimmings have been gently supported by the tissue paper, and try to repack it this way. Careful storage will ensure you get many years of wear from your beautiful hat! Of course, if the hat is damaged or loses it’s shape, please contact us… we offer a repair and renovation service for our hats. 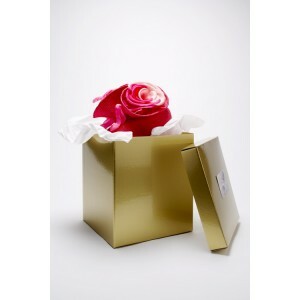 Please contact us should you require gift wrapping, or a special presentation. We love gift styling!